Derwen College Principal Meryl Green, Borderland Rotary Club President Geoff Barr, Assistant District Governor Sherie Soper and student Thomas Alexander. A therapy and fitness facility for students at a specialist Shropshire college is another step closer to completion thanks to a generous charity donation. The new hydrotherapy pool for use by students at Derwen College, near Oswestry, has been given a financial boost from Borderland Rotary Club and local Rotary International District 1180. 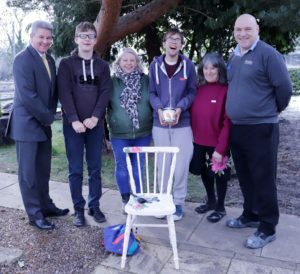 Representatives of Borderland Rotary Club and the local District of Rotary International visited the college for young people with learning difficulties and disabilities to see how the build was coming along. They also presented them with a cheque for £1,520 towards a vital specialist shower trolley. Borderland Rotary Club in Oswestry kindly agreed a donation of £760 towards the cost of a shower trolley with powered backrest for the new hydrotherapy pool. 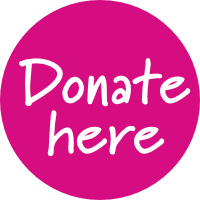 This donation was matched by a grant of a further £760 from the local Rotary International District 1180. Geoff Barre, President of Borderland Rotary, and Assistant District Governor Sherie Soper examined plans for the build and presented the cheque for £1,520 to Principal Meryl Green and student Thomas Alexander. 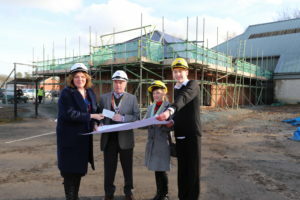 Principal Meryl Green was pleased to accept the cheque and to show the visitors around the new site. A photo posted on social media has reached more than 19,000 people and travelled as far as New Zealand, demonstrating to students the far-reaching power of the internet. Staff and students at Derwen College learnt first-hand how far an image can travel on social media when they shared a photograph online for Safer Internet Day. 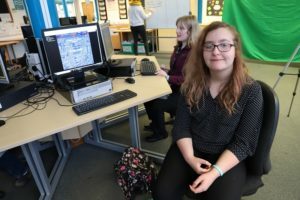 Derwen College posted the photograph of Personal Development and Online Safety teacher Teri Ann Burgoyne and student Courtney Battams on to Facebook to see how many people in how many different countries would view the image. The photograph was seen by more than 19,000 people, and was shared over 350 times across the world. People commented and shared from Australia, Abu Dhabi, Spain, Singapore, Mexico, Caribbean and New Zealand, as well as across England and Wales. 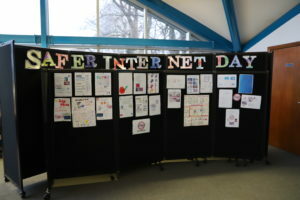 Students also marked Safer Internet Day on 5th February with a poster competition and lunch-time workshops. Retail student Courtney Battams, from Oswestry, who has an aunty living in Las Vegas, America, said she had hoped that the photo would be shared widely in the USA. She said she was surprised by how many other countries also saw the photograph. 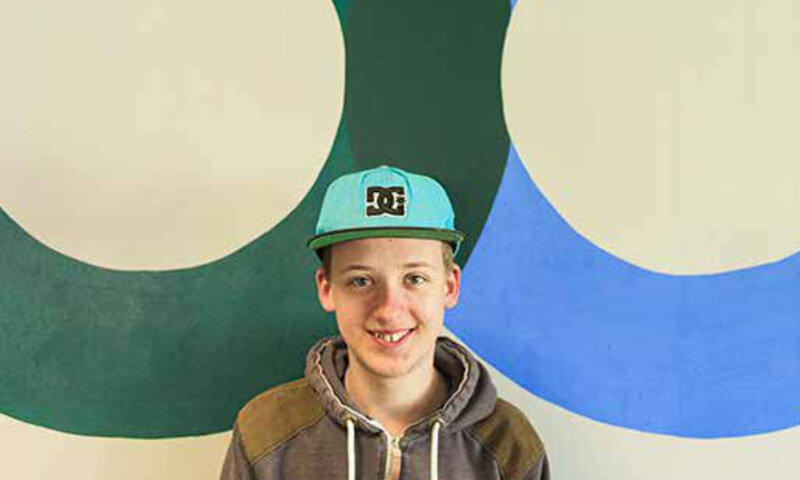 “I use Facebook and Messenger to contact friends and family. I can’t believe that the photograph went so far around the world. It shows that you have be careful and be smart online. The internet can be used for bad things as well as good. It is important to lock your Facebook page so that only friends can see it, and that you are only ‘friends’ with people that you know,” she said. 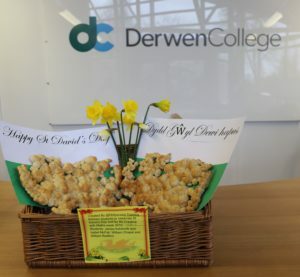 Teacher Teri Ann Burgoyne said: “At Derwen College we take on-line safety very seriously every day. We wanted to mark Safer Internet Day by showing how powerful the internet can be. 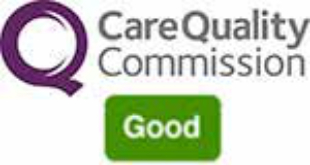 It can be an invaluable tool when used sensibly but everyone needs to be aware of how quickly information can pass to thousands or more people. As part of Safer Internet Day, students designed posters offering tips and advice on keeping safe online. Student Bethan Charles won first prize, Sophie Bulaitis second and Thomas Price third. Student Courtney Battams was amazed at how far around the world her photo travelled. Brewers Area Manager Laurence Zing, Louis Thomas, Ashdale Satellite Co-ordinator Sian Roberts, Louis Eckersley-Carr, president of Wrexham Rotary Pene Coles, and Wrexham Branch Manager Shaun McKenzie. 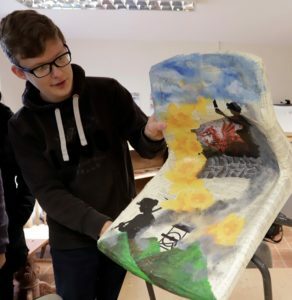 Derwen College’s furniture upcycling enterprise has received a helping hand with a generous donation of paints, equipment and a top-of-the range A3 printer. 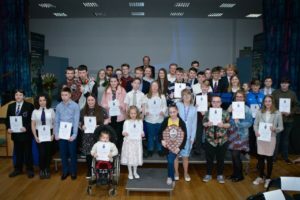 Students at Derwen College’s Wrexham satellite ‘Ashdale House’ – a specialist college for young people with learning disabilities and difficulties – have received sponsorship from Brewers Decorator Centres for their new business, Hŵre. The nationwide painting and decorating supplier has provided the college site with all the paints, wallpaper, brushes, varnishes and sandpaper they need. They also presented them with an A3 printer. Students and trainees at Derwen @Ashdale House, in Higher Penley, run a furniture upcycling business Hŵre as part of their vocational skills training. Louis Eckersley-Carr, from Wrexham, and Louis Thomas are two of the young people benefiting from the sponsorship by the family business which has a branch in Wrexham. 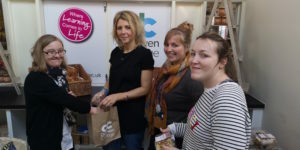 The pair, who work producing upcycled furniture and gifts to sell online and at Derwen College Garden Centre shop, in Gobowen, were delighted by the on-going support. Sian Roberts, Satellite Co-ordinator at Ashdale House, said she was over the moon to receive the kind sponsorship from Brewers, and thanked Area Manager Laurence Zing and Branch Manager Shaun McKenzie for their backing. She also thanked Wrexham Rotary Club who first introduced Brewers to Derwen College. 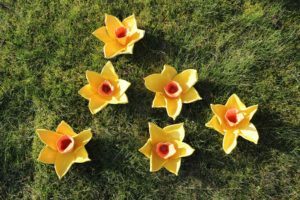 She said: “This means so much to us and to our upcycling business Hŵre. The students were thrilled to receive all the paint and materials needed to transform unwanted furniture into unique statement pieces. Area Manager Laurence Zing and Wrexham Branch Manager Shaun McKenzie said that once they heard about Derwen College, they were more than happy to help. “Providing paint and equipment for Ashdale is a very small financial burden to us in the grand scheme of things but clearly means such as lot to staff and students. The money that they save on materials and equipment can then be better spent supporting students in other ways. 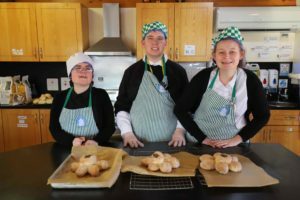 [email protected] opened as a satellite from the main Derwen College site in Gobowen four years ago providing vocational and independence training for young people with a wide range of learning difficulties and disabilities. 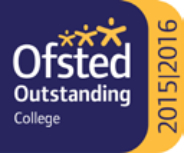 For more information on Derwen College satellite sites click here.